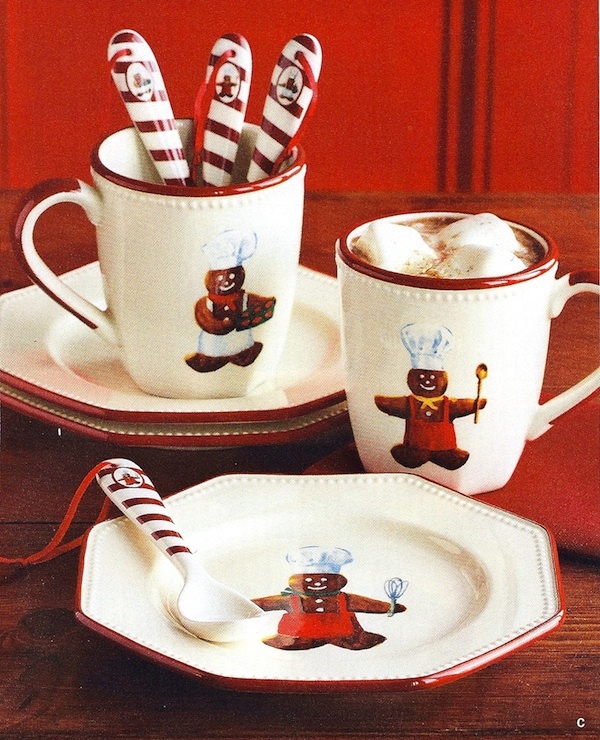 Inspired by Christmas tradition, this durable earthenware collection depicts colorful Gingerbread chefs equipped with tools from the holiday kitchen. Marc Lacaze, a French artist known for his renderings of evocative scenes, created the original artwork for the collection. Displaying four industrious gingerbread chefs beaming with pride, the mugs and plates feature beaded detail and red borders that give them a classic yuletide look. A Williams-Sonoma exclusive.